Do you love Hallmark products? If so, this is the loyalty program for you! 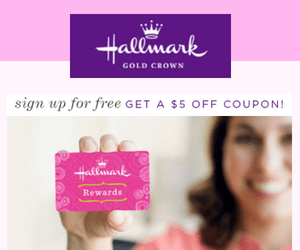 Join the Hallmark Rewards club and get a $5 off coupon just for joining! Plus, you'll get a free card of solid colour gift bag every time you buy 3 cards. To claim the offer, fill in your contact information on the offer page. Be sure to share this great offer with your friends. If you like this offer, be sure to check out a similar one we posted for free food at Red Lobster. Don't miss out: Check out other amazing loyalty freebies here.